** GH SUMMER CLINICS ARE POSTPONED 1 WEEK!! 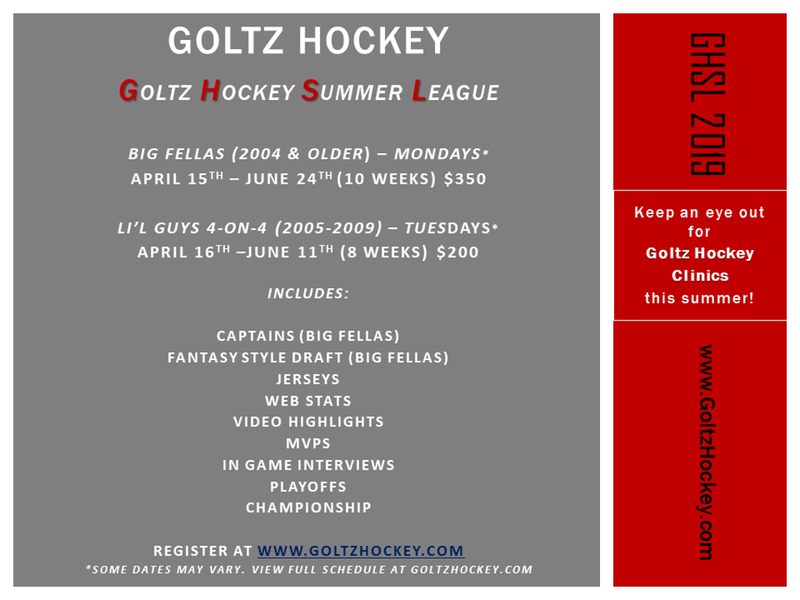 *** Goltz Hockey Summer Clinics will begin a week later than originally advertised.. Please see calendar for full Clinic schedule! 2018 Goltz Hockey Summer League & Clinic Signups are here! Use the Navigation Bar above. Register for Summer Clinics HERE. The Countdown to GHSL 2018 is on! 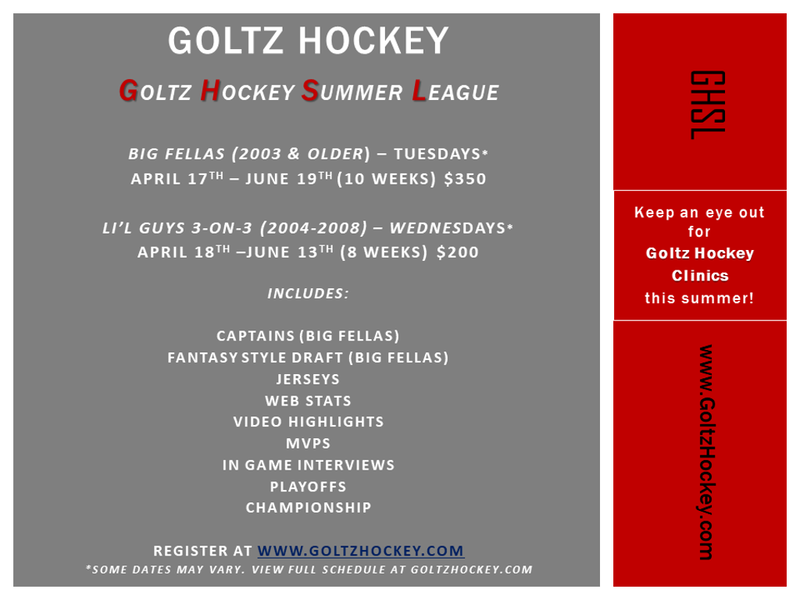 Ghsl Lil Fellas kicks off tonight. 6:20 Titian’s vs Chimos 7:30 Sherwood’s vs Montreal’s . Here we go!!!! Congratulations to our GHSL 2015 Big Fellas Champions - Southern Comfort Part II! Congratulations to our GHSL 2015 Lil Guys Champions - Team Ho-Ho's! 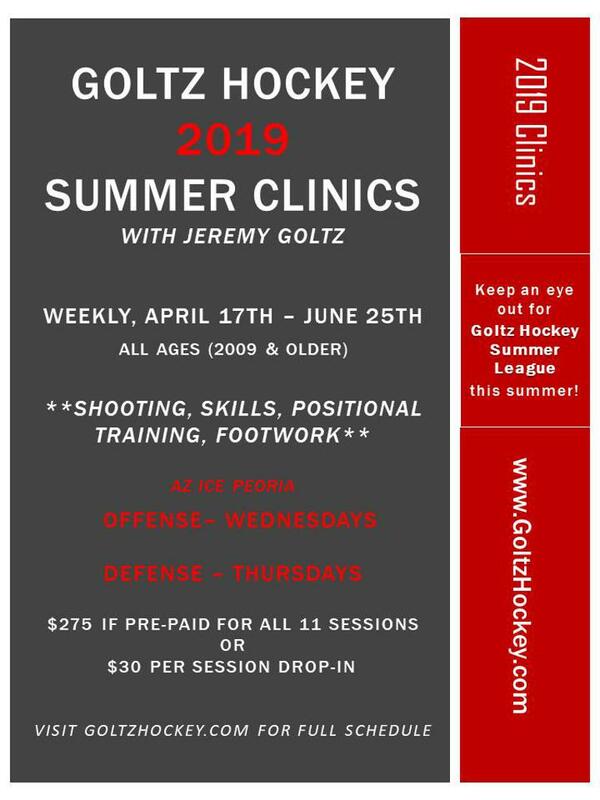 ©2019 Goltz Hockey / SportsEngine. All Rights Reserved.